Professional CAD with 3D-Modeling and more. Is there a better alternative to ARES Commander Edition? Is ARES Commander Edition really the best app in Animation category? Will ARES Commander Edition work good on macOS 10.13.4? ARES Commander Edition ... Professional CAD with 3D-Modeling and additional programming interfaces. 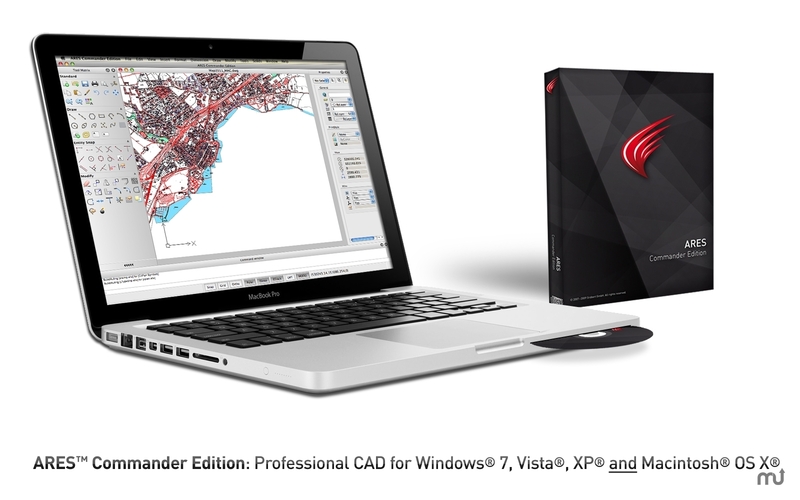 ARES Commander Edition for Mac OS X offers Apple Mac users professional, DWG/DXF based CAD running on native Mac OS X (no emulation!) on latest standards. ARES Commander Edition for Mac OS X takes full advantage of the ease-of-use of the Apple platform while also providing the professional-level precision, features and performance. Operating system enhancements: Support for Windows 8 and Mac OS X Mountain Lion plus a new 64-bit version (for Windows only). Support for DWG 2013: Support for reading DWG 2013 files has been added to version 2013. The software currently supports writing files in DWG 2012 and earlier DWG formats. The user interface is built on Qt technology, which means that it looks and works the same on Mac, Linux, and Windows computers. It features dockable toolbars, right-click shortcut menus, command line input, palettes, and a brand-new ToolMatrix. Based on industry-proven technology ARES® fits easily into existing CAD environments. Offering full ARES® functionality, ARES® Commander Edition additionally integrates the ACIS® Solid Modeler and is fully programmable and customizable through common program languages. With DWG as its primary drawing file format and DWG and DXF support up to version 2009, ARES® provides compatibility and exchange capabilities with a wide range of graphics and construction software all over the world. Save drawings back to R12 DWG or DXF format if needed. ARES® recovers damaged DWG and DXF files in all format versions on-the-fly. Export and import ACIS® SAT files and DWF files to or from other CAD software. Export your drawing data to PDF, SVG, or other vector and image formats. ARES® Commander Edition includes a 3D Solid Modeler based on ACIS®, the industry standard. Add 3D solid primitives to your design and use Boolean operations to unite, intersect, and subtract bodies. Extrude or revolve 2D entities, sweep 2D entities along a path, or loft between 2D entities to create solid objects. Slice and intersect solids. Edit the edges, faces, and bodies of 3D solids. Use regions, created from closed boundaries, to transform areas into 3D solids and to perform Boolean operations on 2D entities. ARES® Commander Edition lets you gain maximum user productivity by taking advantage of the Lisp, C++, and DRX programming interfaces to create your own functions, routines, and plug-ins. Add active content from other application using OLE objects in drawings. Easily define and manage user interfaces elements such as menus and toolbars in XML resources. In-place Text Editor: Enter text and format it directly inside the drawing. New functionality in Viewport command: Easily align viewports by selecting the geometry inside a viewport. Create Revision Clouds:Rectangular, elliptical, and freehand clouds can be used to accentuate drawing areas and to indicate that certain areas require or contain revisions.